In the field on video, it is essential to have a better device which helps you to record video of high definition. Nowadays people have a good smartphone with a good camera which can be used as a video recorder. However, if you want to create a professional video, then you can use teleprompter apps on your smartphone. Simple Teleprompter gives a feel of the actual teleprompter. 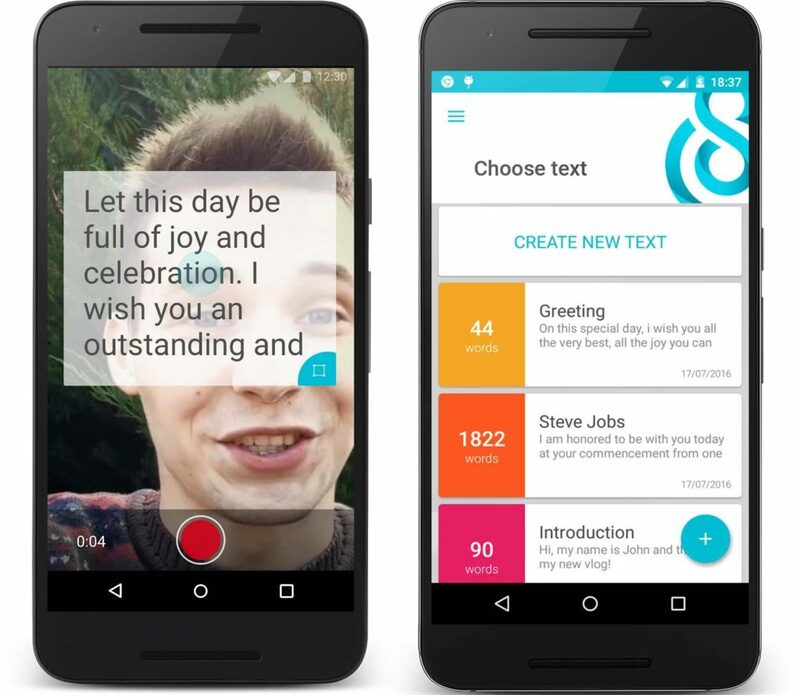 It is an app which can easily teleprompt texts through Android device. Using it, one can type or import scripts safely and fast. It is customizable, wherein you can edit speed to scroll, colours of text and such. Apart from that, it has a feature to automatically start and even lock the orientation of your device. Also, the documents can be saved or deleted easily. One can download the text and create new documents via .txt files. Try it once as it is a free teleprompter app. 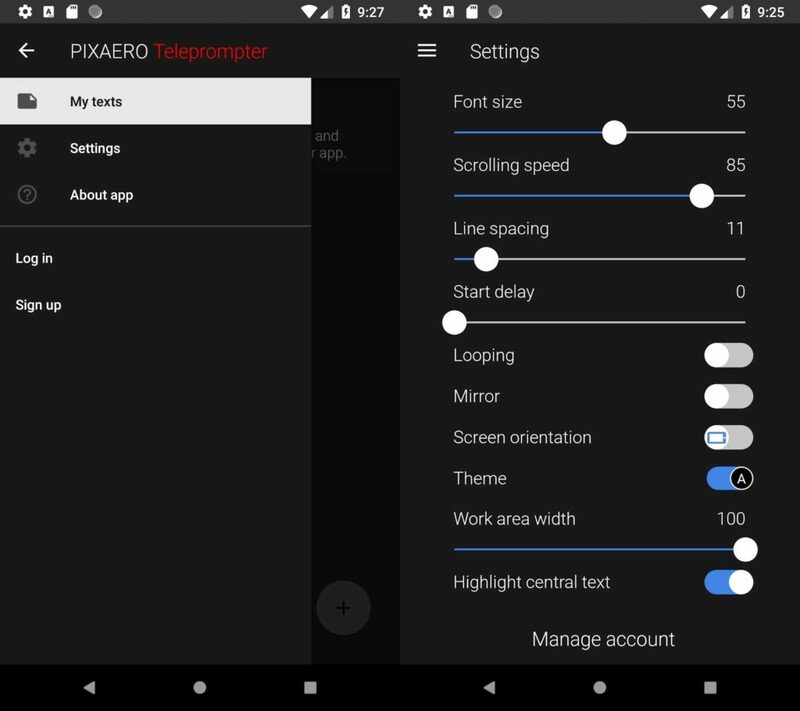 PIXAERO teleprompter is a real-time teleprompter app android. Users can receive words or pics from their friends through this prompter. It is a free teleprompter and can be easily opened on 2 devices at the same time. 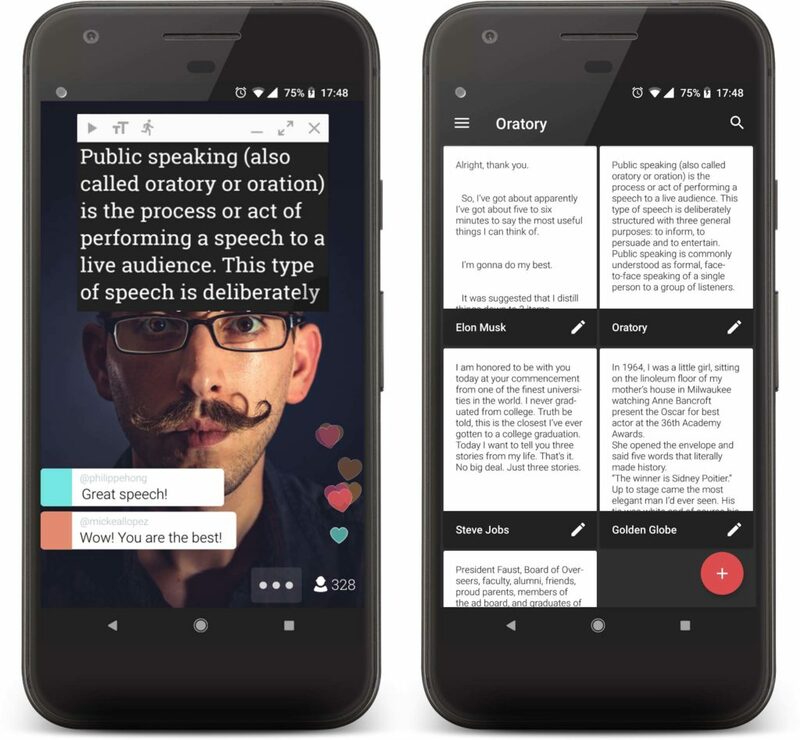 It is a mixture of instant messenger and teleprompter, the reason why it is one of the best teleprompter app. One of the best feature of this app is a hearing option through which you can search the voice of popular actor and also use this app as song identifier app to find any particular song. 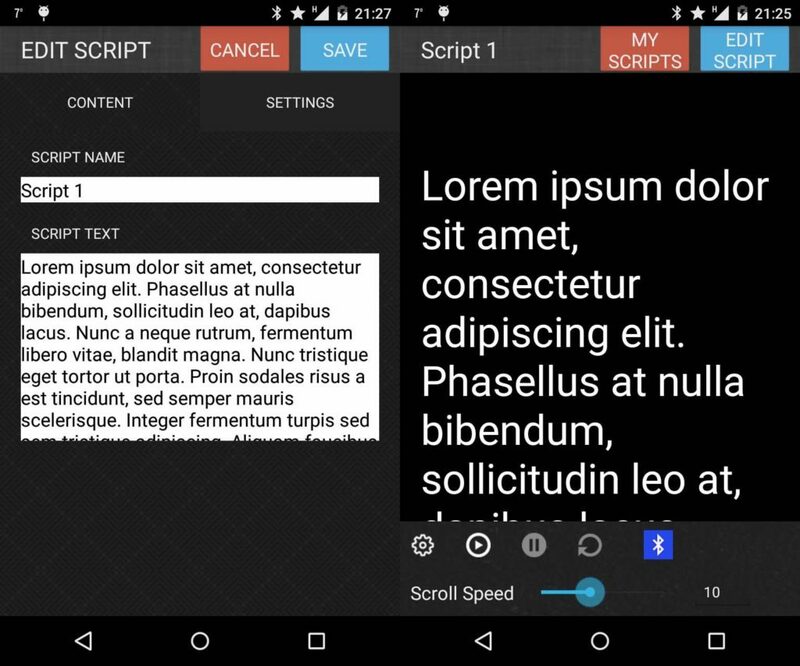 Teleprompter Pro Lite is a simple and free professional teleprompter app, suitable for both Android and iOS device. It has various features like multiple scripts, custom fonts, and text size control, speed control. There is a paid version which gives you other unique features. Along with these, it has the option to delete old scripts from the app. It is one of the best teleprompter app which allows you to talk in front of the camera just like TV anchors. Also, this teleprompter software is useful for video bloggers. 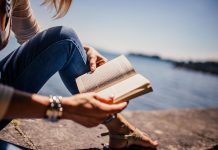 It is helpful for reading pre-written text on your screen. One can even record video using 3D camera apps on android or ios device. Using this app you do not have to remember complicated texts, just note them down and thus become a selfie video star. 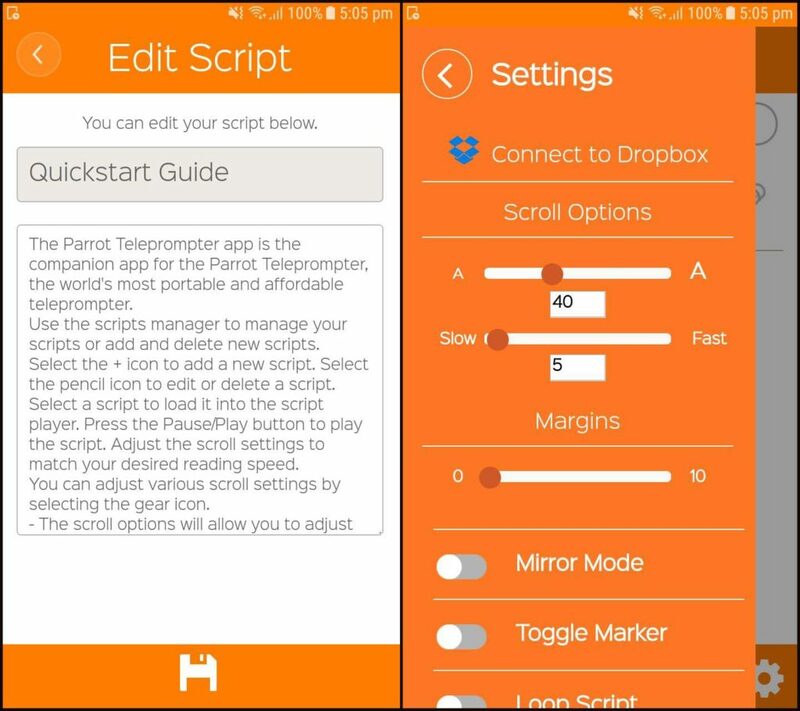 Parrot Teleprompter is one of the best and popular teleprompter apps and is even free. It lets you control scroll speed on your smartphone (android and ios both). Along with these users can change text size, adjust foreground and background color. Also, users can scroll scripts in screen mirror and landscape mode with an unlimited number of scripts options. With Oratory, one can edit, save and highlight important parts of the script in the app. As per your need, you can change the opacity, font and background color. You can create amazing performances while having live broadcast using this app. 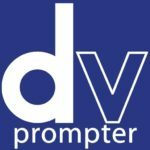 DV Prompter is a fully functional teleprompter app developed by Datavideo for Android and iOS users. It can be used with the expanding range of wired, Bluetooth remote controller. Various hardware products from the global network are available over the screen when the app starts. 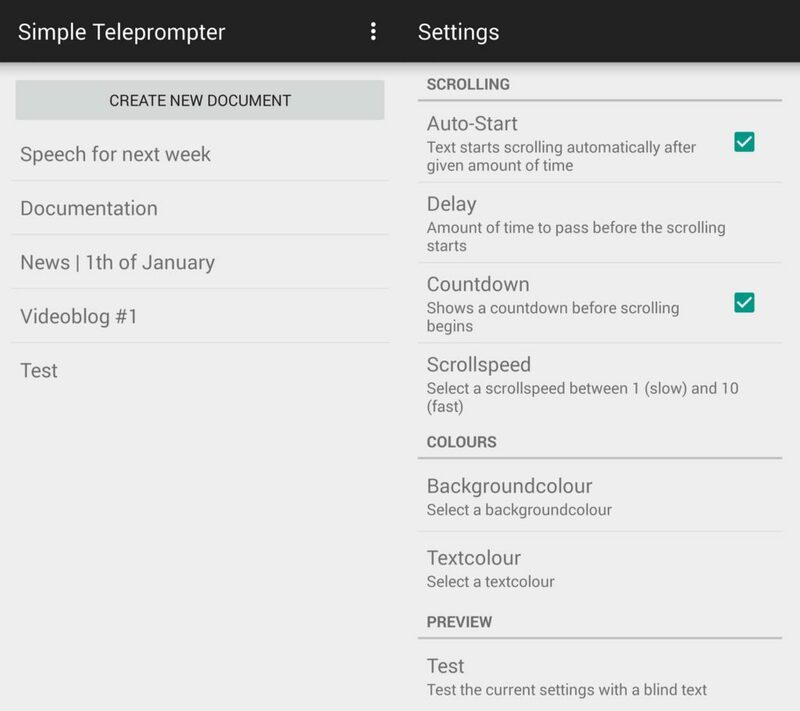 This is a free teleprompter app with latest features, for both Android and iOS smartphone. 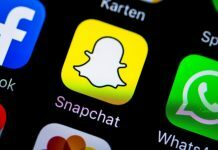 If you are going to record a video for a site, TV, social networks using a mobile device – smartphone or tablet, you should certainly go for Teleprompter Video Maker (BIGVU). With it, you can altogether recall the needed text and record a video clip from the front camera. 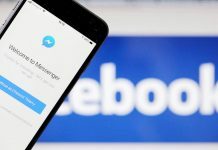 For using this app, you need to register on Facebook, Google+. This video teleprompter is just like a pocket video studio. Many speakers and journalist use a teleprompter. However, as it is expensive, you need to choose which can suffice your purpose.